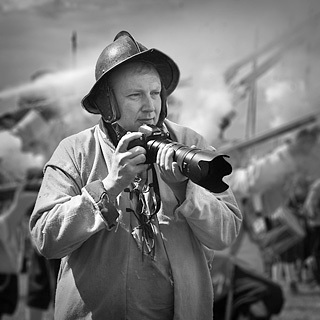 Taking war photography back to the 1640s? My photography is varied but ranges from landscape to documentary. The work of photojournalists like Don McCullin and Brian Harris in the early Independent newspaper was what first made me want a camera in my late 20s, and I also remember being impressed by shows by Chris Killip and Sebastaio Salgado. So I like long term projects, one early one being on Speakers Corner, and in the last 10 years I’ve photographed a wide variety of historical re-enactment – my history degree from Cambridge meeting my inner McCullin. Landscape has always been my other love. Perhaps surprisingly, McCullin was an early favourite as I had his wonderful book of harsh black and white Somerset landscapes. Others would be Fay Godwin and William Neill, while more recently some of David Ward‘s ideas have been thought-provoking. Yet just as much inspiration comes from my interest in art history. I’ve written about 10 books on digital photography, the latest two published in 2014, but I didn’t begin as a photographer or even as a graphic artist. 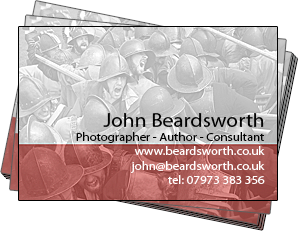 I had been a “spreadsheet warrior” and photography was just a hobby, but working for Heidelberg in the graphics industry I been familiar with Photoshop from about 1990. So while I loved darkroom printing, I also built up my digital skills with scanned negatives and slides, a “wet and dry” route. 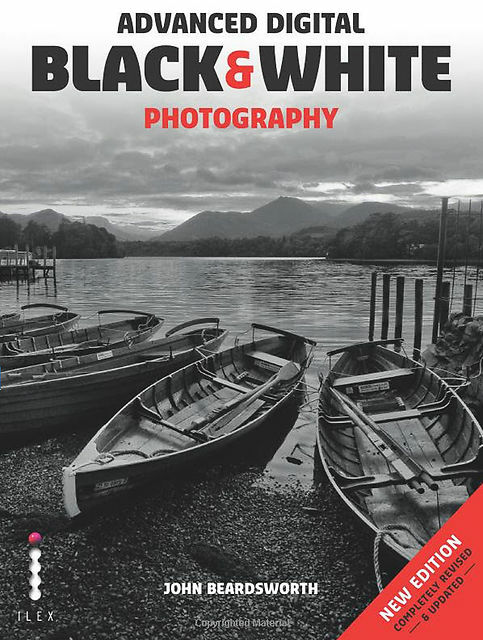 Then in 2003 I mentioned on my blog that I had just bought a Nikon D100, and this led to the opportunity to write the first of three books on digital B&W. Advanced Digital Black and White Photography is probably my favourite. Partly that’s because I know it contained a few big firsts for books on the subject – Lightroom, Photoshop’s B&W panel, using SilverEfex, and smart object workflows. It’s still bang up to date. I have moved all my newer Lightroom content over to my other web site, Lightroom Solutions. My knowledge of Lightroom has origins in my murky past – as a spreadsheet warrior. Qualifying as a chartered accountant, I worked in finance for two decades before finding how I could program Excel and databases. Then in financial IT consulting, I was implementing big accounting systems, OLAP cubes and “business intelligence”. That background happens to be ideal for managing photos and the field of “digital asset management”, so I found myself improving clients’ Lightroom productivity and designing web sites (my own web site has been going since 1997) which integrate efficiently with their workflows. And after using it for 27 years, I do know Photoshop pretty well too.